m-korchemkin: Сколько денег ушло от акционеров Газпрома к акционерам Росукрэнерго? Оригинал взят в Сколько денег ушло от акционеров Газпрома к акционерам Росукрэнерго? Газпром завершил ликвидацию совместного предприятия с украинским бизнесменом Дмитрием Фирташем — швейцарского газового трейдера RosUkrEnergo. Схема Росукрэнерго была классическим случаем обмана акционеров Газпрома. Алексей Миллер и другие члены правления и совета директоров открыто уводили часть прибылей Газпрома на счета Д.Фирташа и Д.Фурсина. Исполняя «государеву волю», «государевы люди» создали Росукрэнерго под фальшивым предлогом генерирования в офшоре средств для закупки музыкальных инструментов детям инвестирования в развитие газотранспортной инфраструктуры, необходимой для обеспечения транзита. Разумеется, Росукрэнерго не вложила в развитие инфраструктуры ни копейки, а выплатила все прибыли в виде дивидендов. Половина прибылей (а это миллион долларов в день на протяжении ряда лет) навсегда ушла от акционеров Газпрома. Интеграция Сербии в европейские стурктуры — ЕС и НАТО, будет означать пересмотр двусторонних отношений РФ с этой страной. Об этом в интервью для сайта «Единой России» заявил вице-спикера Госдумы депутат от партии «Единая Россия» Сергей Железняк. «Мы отчетливо понимаем, что при глубокой интеграции наших сербских партнеров в Евросоюз, нам, скорее всего, придется пересматривать ряд договоренностей между нашими странами, дабы обеспечить защиту своих экономических интересов», — сказал он. Напомним, на последщних парламентских выборах в Сербии победила «пронатовская» и «проевропейская» коалиция. Иногда интересно посмотреть ретроспективу официальных мнений, неудавшихся переговоров, несбывшихся прогнозов. Иногда хочется просто угара, который в свой ЖЖ не пощу. Недовольные вкладчики похитили (а затем отпустили) руководителя биржи редкоземельных металлов «Фанья» Шань Цзюляна и потребовали вернуть вклады. Они также заявили, что открытая в Куньмине биржа, позволяющая торговать 14 редкоземельными металлами, построена по принципу финансовой пирамиды и потребовали вмешательства властей в ситуацию. Первоначально «Фанья» обещала выплачивать до 13,7 проц годовых. Но в июле биржа заморозила активы и прекратила выплату вкладов. Остаточная задолженность 80-ти тысячам кредиторов по всей КНР составила примерно 36 млрд юаней. 21 сентября в Пекине состоялась демонстрация инвесторов, на которой люди призывали центральное правительство вмешаться в ситуацию. Схожая демонстрация прошла и в Шанхае. Kidnapped from a hotel by investors demanding he return some 36 billion yuan (HK$43.8 billion)they claimed he owed, and publicly denounced by angry demonstrators as a swindler, Shan Jiuliang, founder of Fanya Metals Exchange, once the world’s biggest rare metals trading platform, is adamant that he did nothing wrong. Fanya was one of hundreds of so-called commodity exchanges that have mushroomed across the mainland, trading products as diverse as rare metals and garlic. Fanya had promised double-digit returns on a punt on metal prices increasing, a bet that went horribly wrong as commodity prices collapsed worldwide. Its demise has raised concerns that others could follow, adding to the mainland’s debt problems. The platform, based in the southwestern city of Kunming allowed people to trade 14 rare metals, and to borrow money from retail investors online with a 20 per cent down payment. But Shan’s troubles began in mid July when trading was suspended after Fanya became unable to pay back investors’ principal and a 13.7 per cent annualised return it had guaranteed. The outstanding debt from more than 80,000 investors across the country stood at about 36 billion yuan, Fanya estimates. Angry investors kidnapped Shan from a five-star hotel in Shanghai in late August, pushing him to the ground before carting him off to a local police station, urging him to give back money. After a few hours of negotiations, Shan returned to Kunming promising to find a solution. The 51-year-old Shan said it was not Fanya’s responsibility to repay the money to the investors. «The money from investors has been lent to more than 400 financiers through Fanya. We are acting as a bridge, not a borrower. I have submitted the list of borrowers to the Kunming municipal government, as well as the Yunnan provincial government,» he said, noting that more than 90 per cent of the money had been lent to less than 100 private companies. The rest was owed by more than 400 individuals. Shan said Fanya was responsible for the collecting money from lenders and matching each of their investments to a specific borrower. It charged handling fees and custodian fees, and made profits of several hundred million yuan, but never manipulated prices. No investor money was transferred to his own account, he said. A college graduate in statistical sciences, Shan entered the commodities futures industry in 1996. He bought a brokerage called Dahua Futures in 1999 in Shanxi province and sold it several years later. With the money from the sale he set up SCOAL, a spot trading platform for coal products in Shanghai, but closed it in 2010 «as some trading practices were not allowed by the authorities», he said. He set up Fanya the same year with help from a small team of four or five people he described as «professionals». However, people who put money into the platform have cried foul, saying they thought they were buying a wealth management product named Ri Jin Bao, rather than lending money to unknown people online. «The sales manager told me it was a wealth management product issued by a government-backed company. I would not have dared to put a penny into Fanya if I had known it was actually an online peer-to-peer lending platform,» said Vivian Jiang, who works at a university in Shanghai. She said more than 800,000 yuan of her money was now frozen in her Fanya account. Shan said Fanya had never issued any wealth management products. Ri Jin Bao was a nickname «invented by some sales manager» to explain Fanya’s «entrusted loan» business, he said. An investor who was present when Shan was pulled from his Shanghai hotel said people believed Shan had registered many shell companies, and used those shell companies to trade and borrow money. A rare metals producer who operates a bismuth factory in Jiangxi province and who gave his surname as Wu, said he started selling on Fanya in late 2013, but never knew who the buyers were because users were anonymous. «Trading was very active on Fanya. The turnover on this platform used to make up 60 to 70 per cent of my company’s total turnover,» he said. Shan said Fanya changed the trading system last December after an inspection by the market regulator, the CSRC. He said it was this change that directly drained the liquidity of the platform, as many people gave up trading, but he did not inform investors because he thought he should not mislead the market. Wu said he had had concerns over Fanya’s business model as it offered 100 per cent credit to anyone who paid 20 per cent as a down payment. And if the price of the metals fell, the borrowers simply left the market, losing only their down payments and leaving those who financed the deals with the risk. «I reminded Shan several times about the risk last year, as the outcome could be huge once the capital chain breaks. However, he seemed very capable of getting funding at that time,» Wu said. «Shan told me ‘money is infinite’. Shan Jiuliang set up Fanya in December 2010 with the approval of the Kunming municipal government. Fanya was brought under provincial government supervision from 2011, after the State Council initiated a national campaign to clean up regional exchange platforms. June 2014: The China Securities Regulatory Commission (CSRC)questioned Fanya’s business during an inspection, urging it to change its settlement cycle from same day to five day and introduce a real-name trading system. November 19, 2014: The Yunnan Securities Bureau said Fanya posed «huge risks» in a post on its website, but removed it a few hours later. December 8, 2014: Fanya announced it would follow the CSRC’s instructions and adopt a five-day settlement cycle and a real-name trading system. March 2015: The price of indium had more than doubled on the Fanya exchange by March this year from October 2011, and was well above the average global market price. April 2015: Some investors found they could not get their principal and returns from their accounts. June 2015: Fanya held a national conference for its 360 authorised service agencies all over the country to address investor issues. July 2015: More investors reported that their accounts were frozen and they were unable to withdraw principal and returns. Fanya said it would suspend part of the business. August 22, 2015: Investors kidnapped Shan Jiuliang in Shanghai and carted him off to a local police station, urging him to give back the money. August 28, 2015: Fanya said it would suspend all business. September 21, 2015: Hundreds of investors protested outside the CSRC’s headquarters in Beijing and urged the central government to probe Fanya. They also accused the Yunnan government of abetting Fanya. September 23, 2015: Fanya proposed three «debt restructuring plans» on its website, saying investors could either sell the warrants they held for the rare metals to get part of their investment back, or securitise the warrants and change them for shares of unspecified listed companies. No investor or listed company has said they are willing to accept the plan. Подконтрольная «Росатому» урановая корпорация Uranium One (U1) продает свой единственный актив в Австралии, проект Honeymoon, местной компании Boss Resources, сообщила вчера последняя. Boss Resources должна выкупить 100% в операторе проекта Uranium One Australia Pty Ltd, для этого она создаст SPV-компанию с Wattle Mining Pty Ltd, в которой получит 80% и опцион на выкуп других 20% у Wattle после получения банковского ТЭО. По данным Boss Resources, запасы трех месторождений Honeymoon составляют 16,6 млн фунтов закиси-окиси урана (7,54 тыс. тонн), а мощности построенного ГОКа позволяют выпускать 880 тыс. фунтов закиси-окиси урана в год. Но добыча не ведется с 2013 года из-за низких цен на уран. Boss сразу должна заплатить U1 $200 тыс. за право проведения due diligence актива, внести аванс на $2,44 млн и выдать векселя на $3 млн и $4 млн с погашением в течение двух и четырех лет соответственно с момента заключения сделки (она ожидается в течение трех месяцев). Кроме того, в случае успешного перезапуска проекта Boss должна заплатить U1 $2 млн наличными или своими акциями (условие действует и в случае провала, но по истечении пяти лет с даты сделки) и ежегодно выплачивать 10% от чистого денежного потока, но не более $3 млн. В «Росатоме» вчера не ответили на вопросы «Ъ», но в сентябре 2014 года Австралия приостановила поставки урана в Россию в связи с событиями на Украине. 14.11.2013 Едва завершив консолидацию канадской Uranium One, «Росатом» понял, что развивать добычу урана сейчас бессмысленно из-за падения цен на уран. Госкорпорация останавливает инвестиции в новые проекты в России и за рубежом и консервирует ряд проектов. Эксперты констатируют падение интереса к развитию атомной энергетики и не видят предпосылок роста мировых цен на уран. Вчера стало известно, что из-за низкого уровня мировых цен на природный уран «Росатом» остановит развитие своих уранодобывающих активов и законсервирует ряд проектов, входящих в российский холдинг «Атомредметзолото» (АРМЗ) и канадскую Uranium One (U1, госкорпорация владеет 100% акций). Будет законсервировано единственное месторождение Uranium One в Австралии Honeymoon (добывает 85 т природного урана в год), также будет остановлено развитие американского актива Willow Creek (добыча сохранится на текущем уровне) и продолжится «оптимизация» проекта Mkuju River в Танзании, сообщили в Uranium One Holding. АРМЗ планирует сократить проектную мощность и перенести запуск добычи на месторождении Хиагда, а также сдвинет сроки проекта крупнейшего в России Эльконского месторождения. Приаргунское производственное горно-химическое предприятие (ППГХО) откажется от строительства шестого рудника и закроет второй рудник, говорят в компании. «Мы приостанавливаем инвестиции в расширение добычи урана,— подтвердили «Ъ» в Росатоме.— Месторождения, где уран уже добывается, будут работать, а вкладывать в строительство новых мощностей мы пока не планируем из-за плохой рыночной конъюнктуры». U1 имеет одну из самых низких себестоимостей добычи урана в мире, поэтому продажа сырья останется выгодной для компании, отмечают в госкорпорации, добавив, что на финансовых показателях самого «Росатома» приостановка проектов практически не отразится. В сентябре 2013 года спотовые цены на природный уран, по данным Ux Consulting, оказались минимальными за последние восемь лет — $34 за фунт закиси-окиси урана (U3O8). Максимум за последние три года ($73 за фунт) был достигнут в феврале 2011 года накануне аварии на японской АЭС «Фукусима-1», и за это время они упали более чем в два раза. В октябре цены на уран, по данным UxC, незначительно подросли до $35,25. Председатель совета директоров АРМЗ и президент Uranium One Holding, член правления «Росатома» Вадим Живов, курирующий в госкорпорации добычу урана, заявил «Ъ», что, по его оценкам, при остановке развития и консервации проектов суммарная годовая добыча АРМЗ и U1 может снизиться примерно на 4 тыс. тонн в год (в 2012 году компании произвели около 7,5 тыс. тонн). Он отмечает, что на минимуме цены энергокомпании не торопятся контрактовать уран, добавляя, что основная часть урана продается не на спотовом рынке, а по долгосрочным контрактам. Он также говорит, что о закрытии или остановке развития говорят сейчас многие урановые компании, так, уже в ноябре о заморозке проектов развития заявили в крупнейшем в мире производителе казахском «Казатомпроме». Но господин Живов считает, что через год спотовые цены на уран могут вырасти до $45 за фунт. Но только этой осенью АРМЗ завершила консолидацию 100% акций U1, выкупив у миноритариев 49% акций примерно за $1,3 млрд. В общей сложности на U1 «Росатом» мог потратить около $2,5 млрд. Вадим Живов заметил «Ъ», что не считает сделку ошибкой, поскольку актив выкупался дешевле аналогичных сделок, проводимых другими крупными майнинговыми компаниями. Он подчеркнул, что поставок урана для «Росатома» будет достаточно. В этом году рынок ждал позитивных новостей в атомной энергетике, которые бы поддерживали цены на уран не ниже $40 за фунт, говорит гендиректор группы «Атомпромресурсы» Андрей Черкасенко, но надежды не сбылись: развитие отрасли тормозится вплоть до полного отказа, как в Японии. С приходом в стране к власти новой партии ожидалось возобновление атомной энергетики, но пока звучат обратные заявления. Второй причиной снижения является переход США на замещающие технологии в энергетике, в том числе на сланцевый газ, который вытесняет АЭС с рынка, говорит господин Черкасенко. По его словам, завершение двадцатилетнего договора ВОУ-НОУ на поставки российского урана в США пока не сыграло на рост спотовых цен: покупатели давно готовились к дисбалансу и заключали контракты заранее. Пока, считает он, предпосылок для роста цен на мировом рынке добычи урана не наблюдается. Это [снижение инвестиций в геологоразведку и производство] не может не привести к сокращению производства, что, в свою очередь, приведет в автоматическом режиме к увеличению стоимости нефти. И прогноз, высказанный министром нефти Саудовской Аравии в долларов 150 за баррель, через два-три года может оказаться реалистичным. Очевидно, что существует предел роста нефтяных цен и издержек, затраты других отраслей, когда повышение цен сможет становиться тормозом для развития других отраслей экономик. Эмпирически этот предел нащупывался уже трижды. 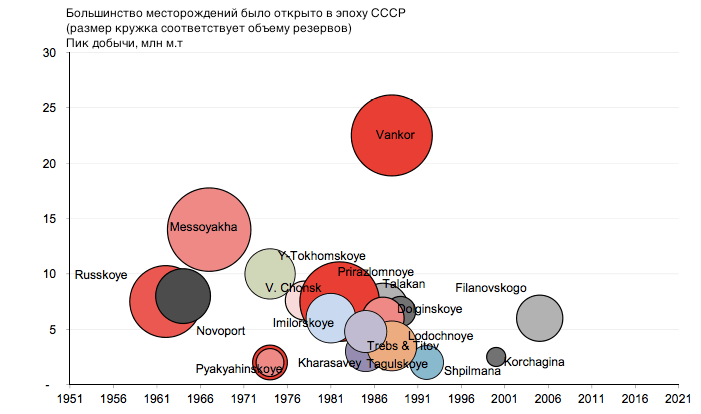 По мнению наших экспертов, это было в 1980-м, 2008-м и 2011 годах. В сопоставимых ценах это приблизительно 120 долларов за баррель, иногда даже выше. […] Уровень цен, превышающий 120 долларов, не принимается мировой экономикой. В целом, [сейчас] ценовая ситуация сбалансирована, обоснованных причин для дальнейшего роста мировых цен на нефть не видно, однако еще меньше оснований ожидать их сколько-нибудь существенного падения. В отношении важнейшего показателя — цены на нефть — действуют факторы в пользу их определенной стабильности в диапазоне 90–110 долларов за баррель. При росте напряженности и соответствующих рисков возможно превышение как верхней, так и нижней границы этого диапазона. Ниже 90 долларов за баррель цена на нефть не упадет. Это связано с рядом факторов. Но и 90 — хорошая цена. Она позволяет работать. Я считаю, что в среднем по итогам 2015 года цена может колебаться от 70 до 75 долларов. Первая половина года будет достаточно тяжелой, как представляется, в связи с влиянием ситуативных факторов, таких, как, например, хеджирование независимыми производителями сланцевой нефти цены на нефть в американских банках. Но этот фактор временный. Если посмотреть на фундаментальные рыночные факторы, то, вероятно, цены скоро восстановятся до уровня в 60–80 долларов за баррель […] Но если рынок будет деформирован и восстановление цен займет дольше времени, чем должно, многие добывающие продукты будут законсервированы, и тогда цены поднимутся до 90–110 долларов или даже выше. Не только цена на нефть повлияла на нашу капитализацию [«Роснефти»], но и санкции, которые ограничили наш доступ к международным финансовым ресурсам. […] Цена на нефть будет расти. Никто (и я в том числе) не предполагал, что США начнут столь жесткую дефляционную политику. ii/ разного рода аналитики, предсказывающие «закат империи доллара», но не объясняющие как это будет происходить на уровне государственного менеджмента и даже не дающие никаких других индикаторов кроме роста госдолга США. iii/ недоверие к официальной статистике, явно указывающей на нарастающие проблемы в сырьевом секторе начиная с лета 2011 г.
Темпы падения добычи нефти в России в ближайшие годы не будут компенсированы открытиями новых запасов углеводородов, сказал журналистам глава ЛУКОЙЛа Вагит Алекперов. «Сегодня все основные активы, то есть больше чем 80% нефти, на территории России добываются из месторождений, которые находятся на поздней стадии развития и эксплуатации, которые были открыты до 1990 года… Обводненность там большая, месторождения по естественному циклу естественно снижают добычу», — сказал глава ЛУКОЙЛа. По его словам, компенсировать это снижение необходимо новыми активами. «К сожалению большому, темпы падения в ближайшие годы не будут компенсированы вводом новых провинций», — указал Алекперов. «Мы (ЛУКОЙЛ — ред.) сегодня компенсируем свое падение среднесрочное за счет северо-каспийских месторождений, то есть мы вводим в настоящий год месторождение Филановское — большой актив, который даст возможность компании стабилизировать добычу… но таких провинций очень мало», — добавил он. В апреле 2015 г. зафиксирован дефицит никеля в мире в размере 3400 т, его выпуск составил 162 400 т, а потребление – 165 800 т, рассказал «Ведомостям» директор по анализу рынка и статистике International Nickel Study Group (INSG) Сальваторе Пиницотто. За январь – апрель 2015 г. производство никеля было выше спроса на 7600 т, в 2014 г. профицит составлял 23 200 т, говорит Пиницотто. Таким образом, переизбыток рафинированного никеля сократился за год в 3 раза. Причем, подчеркивает Пиницотто, январь, март и апрель были дефицитными – и это впервые с 2011 г. В 2014 г., например, нехватка металла была зафиксирована только в апреле. По итогам 2015 г. INSG ожидает, что мировое производство составит 1,96 млн т никеля, а потребление – 1,94 млн т. У компании «Норильский никель» (обеспечивает 13% мирового производства) другие ожидания: она рассчитывает, что в 2015 г. будет первый за три года дефицит никеля – более 4000 т.
С начала 2015 г. никель подешевел на 13,7%, сейчас он стоит на Лондонской бирже металлов $12 770 за 1 т, как в начале 2013 г. В прошлом году никель дорожал до $21 000 за 1 т на опасениях, что запрет экспорта никелевого сырья из Индонезии спровоцирует дефицит на рынке (страна обеспечивала 22,5% мировых поставок), говорит аналитик Газпромбанка Айрат Халиков. Но 2014 год показал, что запрет оказал незначительное влияние на выплавку никеля из-за больших запасов сырья в Китае и роста поставок из Филиппин и Новой Каледонии. К 2016–2017 гг. эти страны смогут в полной мере заместить поставки из Индонезии, уверен Халиков. Если дефицит никеля сохранится, стоимость металла вырастет, прогнозирует аналитик RMG Андрей Третельников. Но апрельское снижение производства, которое зафиксировала INSG, связано с временным фактором – сезоном дождей на Филиппинах, кроме того, на складах LME лежит рекордное за всю историю биржи количество металла (см. график) и, пока запасы не истощатся, влияние дефицита на цены будет минимальным, уверен Третельников. Халиков отмечает, что дефицит на рынке должен держаться хотя бы год, прежде чем цена на металл вырастет. К концу года металл будет стоить $12 970 за 1 т, прогнозирует он. Третельников и Минэкономразвития более оптимистичны и прогнозируют рост цены до $15 000 за 1 т никеля. По итогам 2016 г. «Норникель» (43% выручки, или $5,1 млрд, приходится на продажу никеля) рассчитывает, что дефицит никеля составит около 70 000 т, следует из презентации компании, прогнозов на следующий год INSG еще не давала, сказал Пиницотто. Как будут вести себя цены на никель в 2016–2018 гг., предсказать сложно, здесь слишком много переменных, говорит Третельников. Главный вопрос – какие мощности введет Индонезия по выпуску никеля из своего сырья, полагает Халиков. «Норникель» до конца 2015 г. разработает стратегию реструктуризации непрофильных активов и выработанных рудников, говорится в презентации компании для инвесторов. Из непрофильных активов «Норникель» выделяет «Норильскгазпром» и Архангельский торговый порт. Из добывающих – Южный кластер Заполярного филиала, куда входят почти выработанный рудник «Заполярный», карьер Медвежий Ручей и Норильская обогатительная фабрика. В презентации также говорится, что реструктуризации подлежат сервисные и логистические активы (порты на Енисее и Енисейское речное пароходство). По словам первого заместителя гендиректора «Норникеля» Павла Федорова, рассматривается несколько вариантов реструктуризации. Эти активы могут остаться в структуре компании, возможен раздел активов между акционерами «Норникеля», их продажа или привлечение инвесторов. Окончательное решение будет приниматься в начале 2016 г.
Добыча на Заполярном руднике и Медвежьем Ручье началась в 1945 г. Норильская обогатительная фабрика работает с 1938 г. По прогнозу «Норникеля», к 2018 г. добыча никелевой руды на этом кластере снизится на 55% до 1,2 млн т. Сейчас на долю этих активов приходится 4% производства компании. Выручка кластера – около $600 млн, рентабельность по EBITDA – около 35%, а запасов хватит менее чем на 20 лет. Актив может быть интересен из-за высокого содержания металлов платиновой группы в руде, говорит аналитик «ВТБ капитала» Борис Синицын. Их доля в запасах кластера – около 70%, сказано в презентации компании. Но и процент истощения запасов – 70–75%. Один из наиболее привлекательных из всех подпавших под пересмотр активов – «Норильскгазпром», считает Синицын. В начале года «Норильский никель» выкупил долю «Газпрома» в «Норильскгазпроме». Запасы «Норильскгазпрома» составляют 317 млрд куб. м, производство – до 3,8 млрд куб. м газа в год (Норильский промышленный район потребляет около 3 млрд куб. м). Месторождение может производить до 13–16 млрд куб. м в год, однако оно не подключено к магистральной системе и производить больше потребляемого не имеет смысла. До ближайшего магистрального газопровода 300 км, говорится в презентации «Норникеля», строительство трубы до него оценивается в $1,5 млрд. Брать на себя эти затраты компания не хочет и готова разделить риски, поэтому готова пригласить в проект партнера. Избавляться от непрофильных активов «Норникель» начал после прихода нового менеджмента во главе с основным владельцем компании Владимиром Потаниным (см. врез). В итоге после распродажи «Норникель» выплатил спецдивиденды в $2,2 млрд. За последние два года менеджменту «Норникеля» удалось снизить долю неэффективного капитала в портфеле компании с 25 до 2–3%, в результате отдача на капитал повысилась на треть – до 29%, отмечается в презентации компании ко дню инвестора. «До конца III квартала мы рассчитываем закрыть сделки по непрофильным австралийским (Honeymoon Well) и африканским проектам, от их продажи «Норильский никель» должен получить совокупный экономический эффект около $1 млрд», – говорит Федоров. С начала 2013 г. «Норникель» продал золотодобывающую компанию North Eastern Goldfields Operations за $35,2 млн, проект Black Swan – за $1,5 млн. Также было подписано соглашение о продаже активов Avalon и Cawse инвестфонду Wingstar Investments Pty Ltd (сумма не разглашалась). Еще «Норникель» продал Lake Johnston в Западной Австралии (человек, близкий к компании, оценивал, что «общий эффект от сделки составит $100 млн») и договорился с госкомпанией Ботсваны BCL Limited о продаже африканских активов (50% Nkomati Nickel and Chrome Mine в ЮАР и 85% Tati Nickel Mining Company в Ботсване) за $337 млн. ЮАР намерена потратить $93 млрд на сооружение шести АЭС. Росатом уже успел подписать ряд документов на строительство атомных станций в этой стране, однако эти договоренности никак не могут получить одобрение правительства ЮАР. Почему? Издание China Daily не скрывает, что россиян весьма успешно пытаются подвинуть коллеги из Китая. Так, в 2014 году Госкорпорация ядерных энерготехгологий КНР подписала с южноафриканской стороной договор, по которой энергетики из ЮАР допущены к части исследований в области технологий ядерной энергетики в КНР. 95% этого проекта оплачивает китайский бюджет. В Поднебесной эту договоренность назвали «ключевым шагом в развитии сотрудничества в сфере атомной энергетики между КНР и ЮАР». Более того, финансовые возможности китайских атомщиков для развития присутствия за рубежом вскоре значительно расширятся. В ближайшее время ожидается слияние Госкорпорации ядерных энерготехгологий и Государственной корпорации энергетических инвестиций. Новый конгломерат будет располагать капиталом в $113 млрд и намерен выйти на объем ежегодных продаж оборудования в $32 млрд. Власти США и Канады заблокировали продажу «Роснефти» нефтетрейдингового подразделения Morgan Stanley. За год сторонам так и не удалось получить одобрения регуляторов. Западные санкции также снизили привлекательность этой сделки, сумма которой оценивалась в $400 млн. Комитет по иностранным инвестициям США отказался согласовывать сделку с Morgan Stanley, поэтому «Рос­нефть» не смогла ее завершить, заявил РБК вице-президент компании по связям с общественностью и СМИ Михаил Леонтьев. «Отказ в выдаче регламентирующих соглашений мы получили не только от американских, но и от канадских регуляторов. Это их право: оспаривать незаключенную сделку мы не будем», – пояснил он. «Роснефть» договорилась о покупке нефтетрейдингового бизнеса Morgan Stanley 20 декабря 2013 года. В случае завершения сделки российской компании перешли бы международная сеть нефтехранилищ, запасы нефти и неф­тепродуктов, прямые контракты с потребителями, контракты на условиях предоплаты, логистические контракты, а также акции и доли в профильных дочерних компаниях в области инфраструктуры, международного маркетинга и исследований. На работу в «Роснефть» также должны были перейти более 100 нефтетрейдеров из офисов Morgan Stanley в Великобритании, США и Сингапуре, а также около 180 менеджеров из вспомогательных подразделений. В июне сделку одобрила Федеральная торговая комиссия США, а в июле «Роснефть» и Morgan Stanley обратились в комитет по иностранным инвестициям. В сообщении «Роснефти» отмечается, что «стороны затратили на подготовку сделки существенные усилия и сожалеют о невозможности ее закрыть». Но потерь от срыва сделки «Роснефть» не понесла, утверждает Леонтьев. «Не факт, что в текущих условиях эта сделка была бы так же интересна, как раньше», – добавил он. А Morgan Stanley рассмотрит теперь ряд вариантов в отношении нефтетрейдингового подразделения с учетом интересов акционеров, клиентов и служащих компании, говорится в сообщении банка, которое приводит ТАСС. Сумма сделки не раскрывалась. Но, по данным The Wall Street Journal, она могла составить «несколько сотен миллионов долларов». Аналитики Platts оценивали ее примерно в $400 млн. Из-за несостоявшейся сделки «Рос­нефть» почти ничего не потеряла, компания могла потратиться лишь на консультантов, но это незначительные средства, говорит старший аналитик «Уралсиб Кэпитал» Алексей Кокин. О том, что сделка может сорваться, стало известно еще осенью. «Рос­нефть» до последнего это не признавала, но американцы не исключали такую возможность. «В нынешних условиях нет и не может быть никаких гарантий того, что сделка будет закрыта, особенно учитывая прописанное в договоре требование о том, что все необходимые разрешения должны быть получены до конца года», – говорил представитель Morgan Stanley в октябре. Источники Financial Times тогда сообщали, что сделка фактически не имеет перспектив. Это стало ясно после того, как санкции отрезали «Роснефти» доступ к долгосрочным валютным кредитам в сентябре, говорит Кокин. Нефтетрейдинговый бизнес подразумевает доступ компании к кредитам в несколько десятков миллиардов долларов, иначе бизнес не будет работать, указывает он. Таким образом, для срыва сделки были и объективные причины, заключает эксперт. Глава Роснефти Игорь Сечин, процитировав в интервью телеканалу CNBC французского государственного деятеля Шарля Мориса Талейрана, назвал введенные в отношении него санкции со стороны США бессмысленными. «Я думаю, что эту прискорбную ситуацию можно описать словами французского политика Шарля Мориса де Талейрана, который, насколько я помню, сказал примерно следующее – «все лишнее не имеет значения», – передает ИТАР-ТАСС. Относительно возможного ужесточения санкций в отношении России Сечин заявил, что Роснефть продолжает работать, чтобы показать эффективность совместной взаимовыгодной деятельности с американскими корпорациями. «Однако, если решения о санкциях будут приняты, мы продолжим реализацию наших проектов самостоятельно, оставив их открытыми для наших американских партнеров, которые смогут вернуться, когда это станет возможным», – подчеркнул президент Роснефти. По словам Сечина, он не может понять «никаких обоснований» для введения санкционного режима. «Я не понимаю, какую цель они преследуют. Я не вовлечен в принятие политических решений… Так что введение санкций я считаю бессмысленным», – заключил глава Роснефти, добавив, что не думает, что его активная взаимовыгодная работа с американскими компаниями может выступать основанием для санкций. «Серьезные люди не должны принимать серьезные решения под давлением», – резюмировал президент Роснефти. Напомним, в конце апреля глава Роснефти уже говорил, что воспринял решение США ввести персональные санкции против него как высокую оценку эффективности работы подконтрольной ему компании. Перед этим США объявили о новой волне карательных мер против Москвы. В санкционный список кроме главы Роснефти Игоря Сечина вошли полпред президента России в Крыму Олег Белавенцев, глава Ростеха Сергей Чемезов, вице-премьер Дмитрий Козак, председатель международного комитета Госдумы Алексей Пушков, директор ФСО Евгений Муров, первый замглавы кремлевской администрации Вячеслав Володин. Тогда же представитель американского минфина сообщил, что граждане США продолжат работать в совете директоров Роснефти, несмотря на санкции, введенные в отношении главы нефтяной компании. Человек, максимально близкий Владимиру Путину, самый тяжелый из политических тяжеловесов, теневой премьер-министр — каких только названий не выдумывается для президента «Роснефти» Игоря Сечина! Когда он только переместился на нынешнюю должность из зампредов правительства, казалось, что это тяжелое аппаратное поражение; но давно очевидно, что никакое не поражение, а серьезное возвышение. Тайком направить войска в Крым, конечно, президенту Сечину не по чину будет — но на своем родном поле, в энергетической сфере, он явно может действовать без оглядки на, назовем это так, условности. А как мы знаем из истории, даже самым великим людям иногда решительно отказывает чувство меры. Санкции ЕС и США в будущем могут привести к сокращению темпов роста бизнеса крупнейшей буровой компании в России Eurasia Drilling Company, предупредила компания. Впрочем, и без санкций в первом полугодии ее чистая прибыль уже упала на 7% — из-за сокращения заказов «Роснефти». Подрядчик надеется заместить эту потерю за счет других нефтяных компаний. Европу ожидает новая волна закрытия НПЗ: Положение европейских переработчиков ухудшается на фоне усиления конкуренции со стороны США, Ближнего Востока и России, так что игроки отрасли ожидают закрытия примерно десятка НПЗ в ближайшие несколько лет. Но многие в отрасли опасаются, что этого будет не достаточно для спасения сектора, который остро нуждается в более дешевых источниках сырья. Конкурентоспособность европейских переработчиков сильно пострадала в последние годы из-за избытка мощностей, снижения спроса, ввода в эксплуатацию новых НПЗ на Ближнем Востоке и роста экспорта нефтепродуктов из США. С 2007 года в Европе было закрыто 14 НПЗ, и в 2013 году их общее количество составляло 87. Наибольшее число заводов закрылось во Франции, где суммарный объем перерабатывающих мощностей с 2008 года снизился на 30% — до 1,4 млн баррелей в день. — Есть много признаков, указывающих на ухудшение перспектив европейских переработчиков, — считает старший аналитик Wood Mackenzie Джонатан Лейтч. — Мы знали, что на Ближнем Востоке строятся новые заводы, так что это не стало сюрпризом, но мы не могли предвидеть, каким будет рост добычи нефти в США и до какой степени это поможет американским переработчикам. — Европейской переработке не избежать новой волны реструктуризации, — сказал в интервью Platts Жан-Луи Шилански, возглавляющий французскую ассоциацию нефтяной промышленности UFIP. — Эта ситуация связана с дисбалансом спроса на бензин и дизель, но также и с закрытием трех НПЗ, — сказал Шилански. — Во Франции кризис избыточных мощностей сменился кризисом конкурентоспособности. — Операторы не могут не принять меры, — сказал он, добавив, что во Франции сектор в 2013 году потерял 700-800 млн евро, и ситуация будет ухудшаться в 2014 году. Лейтч полагает, что объем производства в Европе необходимо сократить на 1,9 млн баррелей в день за период с 2012 по 2018 годы. — Проблема в том, что это не обязательно повлечет за собой закрытия НПЗ, как мы видим, заводы продолжают работать даже на уровнях, которые экономически нецелесообразны, — говорит он. — Если речь идет о перерабатывающей компании, то она закрывает предприятие и уходит из бизнеса, но если это крупная нефтяная компания с государственным участием, от нее могут требовать не закрывать заводы. При этом спрос на нефтепродукты в Европе с 2008 года снизился на 14%. Отраслевые игроки и аналитики говорят, что тенденция к снижению продолжится, так как автомобилестроители создают все больше экономичных двигателей. Еще одной проблемой европейского перерабатывающего сектора является потеря традиционных экспортных рынков, таких как Африка. Переработчики из США продают свои излишки бензина в Африку по сниженным ценам, утверждают отраслевые игроки. — И эта тенденция нарастает, — констатирует Шилански. Крупнейший европейский переработчик, компания Total стремится сократить свое присутствие в нездоровом секторе. 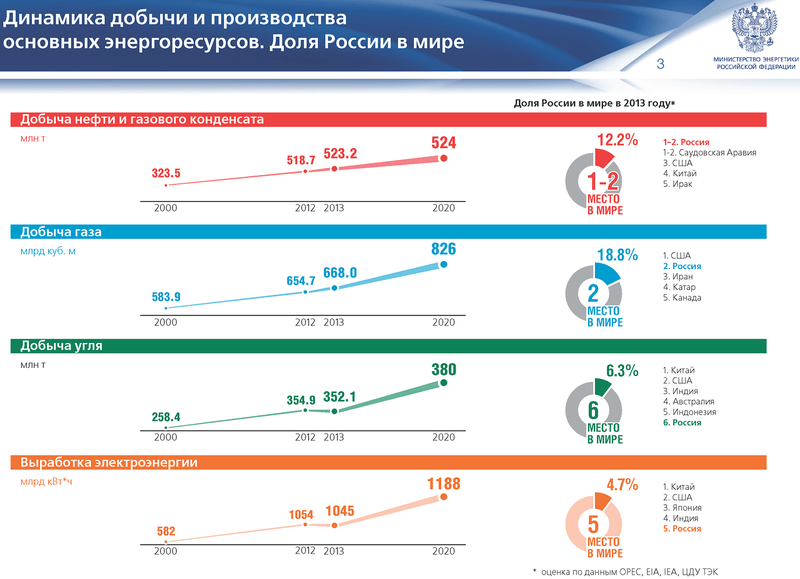 За период с 2006 по 2011 годы это присутствие было уменьшено на 23%, а на период с 2011 по 2017 годы планируется уменьшение еще на 20%. Total, стратегия которой предусматривает инвестирование в крупные интегрированные нефтехимические и нефтеперерабатывающие заводы, например в Гонфревиле (Франция) или в Антверпене (Бельгия), стремится к тому, чтобы к 2017 году на долю интегрированных платформ приходилось 75% чистой прибыли перерабатывающего подразделения. — НПЗ будут закрывать, исходя из их рентабельности, — сказал Лейтч. — Но я не думаю, что закрытий будет достаточно для того, что оставшиеся переработчики вернулись к высокой марже. — Здесь вот что интересно. Объективно в ЕС нужно закрыть некоторое число НПЗ. Для повышения загрузки оставшихся. Но «плохие» НПЗ могут купить российские компании, поставлять на них свою нефть и успешно конкурировать с «хорошими» НПЗ. У еврокомиссаров об этом сильно болит голова. — Зачем им НПЗ, когда есть экологические ветряки? — тупые машины никак не хотят ехать против ветра. и в гору. вот шайтаны! В 2012 г она получила 80 млн долларов чистой прибыли. Но в 2013 г. чистый убыток компании составил 94 млн долларов. А в I квартале этого года – 42 млн долларов. Это произошло на фоне снижения объемов переработки нефти. Через Бутингский терминал в январе-марте на НПЗ поступило 1,5 млн. тонн нефти, что на 37% меньше, чем за тот же период 2013 г. А через терминал Klaipedos nafta экспорт нефтепродуктов Orlen Lietuva в I квартале этого года составил 697 тыс. т, что на 49,5% меньше чем в I квартале 2013 г. В этих условиях руководство Orlen Lietuva в апреле объявило о планах сокращения персонала (на заводе занято около 1400 сотрудников). Профсоюз ее работников расторг коллективный договор и готовится к забастовке. Евросоюз может запретить инвесторам покупать облигации и акции всех российских банков, в которых доля госучастия превышает 50%. Об этом идет речь в документе, подготовленном Европейской комиссией и разосланном правительствам всех стран ЕС, сообщает Financial Times. Лидерам европейских стран необходимо единогласно одобрить предложения, чтобы они вступили в силу. Если это произойдет, то европейские санкции могут больно ударить по российским компаниям. РБК собрал шесть графиков, показывающих финансовую взаимозависимость России и Европы. Внешний долг российских компаний составляет около 650 млрд долл. Наиболее важно внешнее финансирование для частных компаний. Обратимся для этого к данным Банка России по международной инвестиционной позиции, которая отражает соотношение активов нерезидентов в российской экономике и российских активов за рубежом. В табл. 1-3 приведены самые свежие данные Банка России – по состоянию на 1 января 2014 года. Анализ таблиц 1-3 с точки зрения оценки наших возможностей противостоять масштабной экономической войне, развязанной Западом против России, показывает следующее. 1. В случае ведения экономической войны «на полное уничтожение» Россия может понести большие потери, чем наш противник. Чистые потери могут составить 288 млрд. долл. (разница между объемом активов нерезидентов в России и объемом российских активов за рубежом). 2. Вместе с тем, следует учесть структуру внешних обязательств и внешних активов Российской Федерации. Во внешних обязательствах РФ (т.е. активах нерезидентов в российской экономике) явно преобладают долгосрочные обязательства (86,7%). В то же время в зарубежных активах РФ преобладают краткосрочные активы (71,0%). Такая структура выгодна России, так как «свернуть» краткосрочные активы намного проще и быстрее, чем активы долгосрочные. Впрочем, эта особенность структуры активов может рассматриваться как преимущество лишь накануне начала большой экономической войны. После начала такой войны противник может заморозить все наши активы за рубежом, включая краткосрочные. Если бы нам удалось вывести из-за границы более 700 млрд. долл. наших краткосрочных инвестиций, то Запад оказался бы в крайне проигрышном положении (чистая инвестиционная позиция РФ по долгосрочным активам составляла на начало года плюс 341 млрд. долл.). г) конфискация или арест долей российских банков в капиталах зарубежных компаний и банков. 4. Из сказанного выше следует, что роль банковского сектора в экономической войне трудно переоценить. Для банковского сектора необходима программа подготовки к такой войне. Ситуация для банковского сектора РФ не является безнадежно плохой, поскольку во внешних активах российских банков на краткосрочные активы приходится без малого половина. Такие активы при правильно выстроенной политике можно было бы «свернуть». В то же время в структуре иностранных активов в банковском секторе экономики преобладают долгосрочные активы (72,0%). Это преимущественно долгосрочные банковские депозиты. Такие активы из России быстро вывести нельзя. Или же вывод сопряжен с большими потерями. По долгосрочным активам банковского сектора преимущество в экономической войне на стороне России, т.е. потенциальные потери иностранных банков могут превысить потери российских банков. 5. В упомянутой выше банковской программе подготовки к экономической войне важная роль должна отводиться Банку России. Во-первых, потому, что он весомо участвует в формировании международной инвестиционной позиции РФ (почти половина зарубежных активов России – международные резервы ЦБ). Во-вторых, потому, что он является регулятором банковского сектора. Мы уже отметили, что в зарубежных активах российских банков высока доля краткосрочных активов. В международных резервах Банка России имеются как краткосрочные, так и долгосрочные активы. По нашим оценкам, примерно в пропорции 50:50. Сам ЦБ такой группировки на своем сайте не представляет. В любом случае, по нашим оценкам, упомянутая выше программа могла бы обеспечить оперативный вывод из-под удара не менее 350-400 млрд. долл. наших активов за рубежом. За это же время иностранные банки успели бы вывести из-под удара своих российских активов на сумму 60 млрд. долл. После таких «эвакуационных» операций с обеих сторон соотношение сил сложилось бы в пользу Российской Федерации. Не только в рамках международной инвестиционной позиции банковского сектора РФ, но также в рамках всей международной инвестиционной позиции Российской Федерации. Приведенный анализ дополним двумя моментами. Первый момент касается оценки величины российских активов за рубежом. В свое время мы делали оценки реальных масштабов зарубежных активов российских банков, предприятий и физических лиц с учетом нелегального вывоза капитал, которые сильно отличались от официальных данных (см. : Катасонов В.Ю. Бегство капитала из России. – М.: Анкил, 2002). На начало прошлого десятилетия, по нашим оценкам, реальные объемы зарубежных активов России (без международных резервов) были в 2 – 2,5 раза выше официальных оценок Банка России. Каковы реальные масштабы зарубежных активов на сегодняшний день, ответить трудно. Те цифры, которые приводит Банк России, по нашему мнению, являются достаточно серьезно заниженными, поскольку (несмотря на полную валютную либерализацию трансграничного движения капитала) нелегальный вывоз капитала из России сохраняется. Он уходит преимущественно в оффшоры. Очевидно, что с учетом этого момента последствия банковской (да и экономической) войны для России могут быть более тяжелыми, чем это вытекает из выводов предыдущего раздела. Впрочем, с нашей точки зрения, денежные активы, выведенные из России в оффшоры, для нас в любом случае — почти «отрезанный ломоть» (даже если бы не было экономической войны). Второй момент. Нас в расчетах, прежде всего, интересует та часть активов, которая связана со странами Запада. Часть активов, вероятно, не будет задействована в экономической войне, но не очень значительная. По нашим оценкам, примерно 90% зарубежных активов РФ приходится на страны Запада и территории, находящиеся под контролем Запада (оффшоры). Примерно те же 90% иностранных активов в РФ представлены странами Запада и подконтрольными ему территориями. Можно предположить, что более тонкий анализ с учетом лишь тех активов, которые имеют отношение к странам Запада, не изменил бы существенно общей пропорции между нашими активами за рубежом и их активами в России. Обратимся к информации Банка России, касающейся географической структуры распределения ликвидных активов российских банков за рубежом (табл. 4). 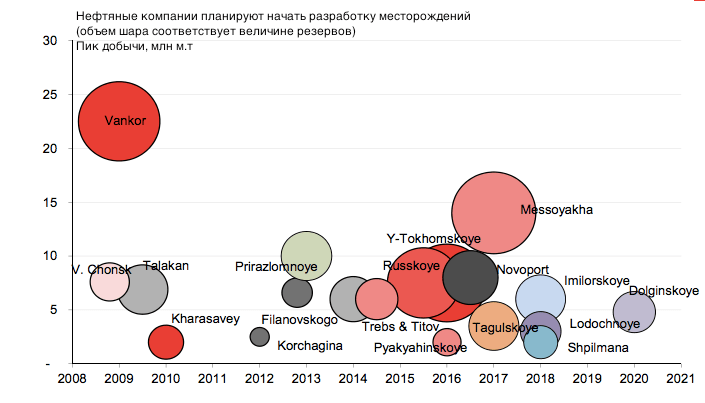 По состоянию на 1 января 2013 года объем таких активов составил 104,6 млрд. долл. Почти 93% из них пришлось на дальнее зарубежье. Наибольшая часть самых ликвидных зарубежных активов российских банков (депозиты, кредиты, корсчета, наличная валюта) приходится не на США, как многие считают, а на Великобританию. Там наших банковских активов в два раза больше, чем в США. Лондон в плане санкций всегда идет в одной связке с Вашингтоном. В случае принятия решения Вашингтоном о замораживании зарубежных активов российских банков можно ожидать, что сразу же будет заморожено около 40% всех зарубежных активов (26,4% — Великобритания, 13,6% — США). А 80% зарубежных активов российских банков сосредоточено в США, Великобритании и еще шести странах (Германия, Кипр, Голландия, Швейцария, Франция, Италия), финансово-банковские системы которых находятся под контролем Вашингтона. Также нелишне обратить внимание на географическую структуру распределения международных резервов Российской Федерации. Привожу самые последние данные Банка России (на 30.09.2013, % к итогу): Франция – 32,0; США – 30,8; Германия – 19,1; Великобритания – 9,2; Канада – 3,0; международные организации – 1,7; прочие – 13,4. Для сравнения приведу данные о географической структуре международных резервов РФ на середину 2006 года (% к итогу): США – 29,4; Германия – 21,1; Великобритания – 13,9; Франция – 11,4; Швейцария – 8,6; Нидерланды – 4,9. Можно заметить, что за 2006-2013 гг. доля Соединенных Штатов в международных резервах России осталась без изменения. Произошло лишь перераспределение долей других ведущих стран Запада. Неожиданно на первый план вышла Франция, а такие страны, как Швейцария и Нидерланды ушли на третий план. Как бы там ни было, но практически все международные резервы РФ размещаются в тех странах, которые находятся под жестким контролем Вашингтона. Франция, в которой на сегодняшний день размещена почти 1/3 всех международных резервов РФ исключения в этом плане не представляет. 18 мая в офис компании «Газпром бурение» пришло письмо из московского офиса Halliburton. В нем американская компания извещала о «приостановке отношений» с российским заказчиком (РБК ознакомился с текстом письма). Это первый случай, когда из-за санкций российским нефтяникам и сервисным компаниям ограничивают доступ к зарубежным технологиям. Если Евросоюз на этой неделе введет технологические санкции в отношении России, за три года добыча нефти упадет минимум на 26 млн т в год (5% годовой добычи). Без зарубежных партнеров не получается наращивать отдачу «сложных» месторождений и невозможна работа на шельфе. Руководство Halliburton приостановило отношения и договоры между компаниями из-за того, что Аркадий Ротенберг (ему принадлежит 100% акций «Газпром бурение») был включен в санкционный список, подготовленный Министерством финансов США в мае этого года. «Запрет касается любых коммерческих отношений, сделок (продажа товаров, услуг и т.д.) с любыми юридическими лицами, которые прямо или косвенно связаны с Ротенбергом. 17 мая 2014 года нами было получено поручение из главного офиса с требованием соответствия», — говорится в письме Halliburton. Информацию о том, что американская компания прекратила сотрудничество с «Газпром бурение», РБК подтвердил источник, близкий к компании. Получить комментарий представителя Halliburton РБК не удалось. Среди заказчиков американской компании все крупные нефтяные и газовые структуры: «Газпром», «Газпром нефть», «Роснефть», ЛУКОЙЛ и другие, говорится на сайте Halliburton. Например, в августе 2013 года Halliburton заключила соглашение о совместной разработке месторождений с трудноизвлекаемыми запасами с компанией «Газпром нефть». Ее задача — к 2020 году довести добычу до 100 млн т нефтяного эквивалента, заявлял первый заместитель генерального директора «Газпром нефти» Вадим Яковлев. По его словам, более половины нефти будет добываться с применением инновационных технологий. В настоящее время «Газпром нефть» продолжает сотрудничество с Halliburton, сказал РБК представитель «Газпром нефти». Представитель «Роснефти» отказался от комментариев. Однако в пятницу в ходе конференц-колла для инвесторов по этой теме высказался первый вице-президент «Роснефти», курирующий вопросы добычи, Эрик Лирон. «Для разработки месторождений с трудноизвлекаемыми запасами в Западной Сибири «Роснефть» использует американские технологии, которые позволяют сократить время освоения месторождения почти вдвое», — заявил он. Также в пятницу нефтяная компания распространила заявление ее президента Игоря Сечина в отчете за первое полугодие. «Вместе с нашими партнерами — ведущими нефтяными компаниями мира — мы работаем над планом минимизации последствий включения «Роснефти» в санкционные списки», — заявил Сечин. Американский партнер компании — ExxonMobil также изучает эффект санкций. «Мы в процессе оценки воздействия санкций», — ответил РБК по электронной почте представитель ExxonMobil. От дальнейших комментариев он отказался. На этой неделе Евросоюз может ввести запрет на экспорт в Россию высокотехнологичной продукции для энергетической промышленности. В случае введения этих мер больше всего пострадают «Газпром» и «Роснефть», которым необходимы западные технологии для добычи на арктическом шельфе. Под угрозой окажутся проекты по разработке трудноизвлекаемых запасов и сланцевой нефти, предупреждают эксперты. В этом случае суммарная добыча нефти может снизиться на 5–10%, или на 26–52 млн т в год, подсчитал исполнительный директор кластера энергоэффективных технологий фонда «Сколково» Николай Грачев. По данным Минэнерго и Минпромторга, 25% оборудования, используемого в нефтегазовой отрасли, приобретается российскими компаниями за рубежом. Еврокомиссия, по данным The Financial Times, может ограничить его экспорт в рамках запрета на поставку в Россию «особо важных технологий». По подсчетам FT, европейские производители и поставщики потеряют от запрета не более 150 млн евро в год. Россия ощутит негативные последствия от санкций по прошествии нескольких лет. Видимо, об этом говорил министр энергетики Александр Новак 4 июня на президентской комиссии по ТЭК. «Особого внимания требует решение проблемы импортозамещения, так как в настоящее время в целом ряде сегментов российский ТЭК сильно зависит от иностранных технологий, оборудования, комплектующих и материалов», — предупреждал собравшихся министр. Особо Новак отметил отсутствие в стране равноценных аналогов оборудования для работы на месторождениях с трудноизвлекаемыми запасами. Без участия иностранных нефтесервисных компаний возникнут проблемы при работе с трудноизвлекаемыми запасами, высокотехнологичными скважинами (горизонтальное бурение), при добыче сланцевой нефти. В этих сегментах доля иностранных технологий превышает 80–90%, приводит экспертную оценку Грачев. В зоне риска оказывается не только добыча, но и разведка новых месторождений. Здесь проблемы возникнут после 2018 года. Исполнительный вице-президент геологоразведочной компании IGSS Денис Чередниченко говорит, что почувствуют проблемы примерно через пять лет, когда имеющееся оборудование придет в негодность. «Для сейсмики запрет на экспорт в Россию технологий — это плохо, — говорит он. — Аналогов импортному оборудованию у нас нет, а моментально наладить его производство не получится, тем более что инвестиции в геологоразведку сейчас крайне малы — нет спроса потребителей». «В краткосрочной перспективе негативного влияния на отрасль запрет на экспорт технологий (США и ЕС. — РБК) не окажет», — заявил сотрудник пресс-службы Министерства энергетики. Но в среднесрочной перспективе потери будут заметными. Запасы углеводородов, которых Россия не сможет «распечатать» в результате очередной волны санкций, оцениваются в 8,2 трлн долл., подсчитали эксперты Bloomberg. Более всего Россия зависит от поставок современного оборудования для бурения горизонтальных скважин, а также внедрения технологий гидроразрыва пласта. 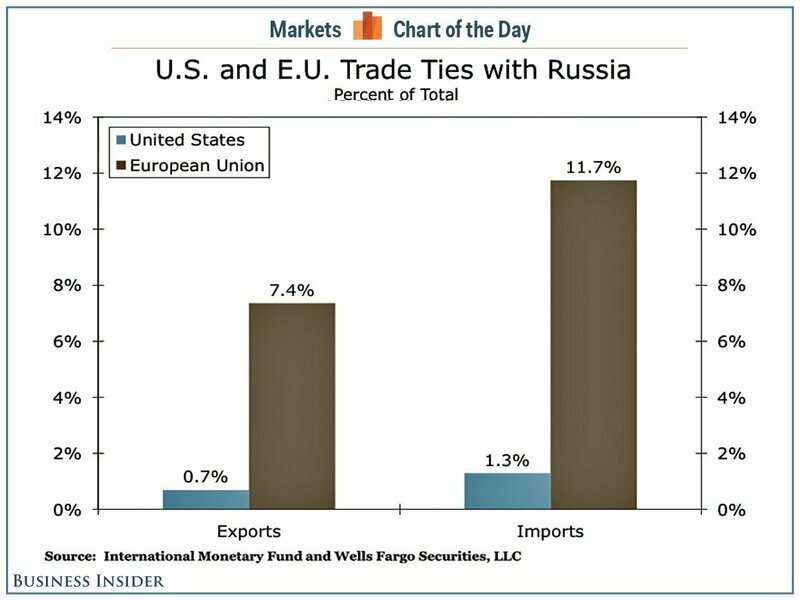 Если Еврокомиссия введет технологические санкции, а США будут последовательны в изоляции сотрудничества с Россией, единственным выходом станет покупка оборудования в Китае, отмечает Чередниченко. Многие нефтесервисные компании уже сейчас используют оборудование из Китая, говорит председатель совета директоров «РУ-Энерджи Групп» Азад Бабаев. «Оно ни в чем не уступает американским аналогам, а по цене гораздо выгоднее», — утверждает он. «Это может стать стимулом к поддержанию программ по импортозамещению. И это слово на напряженном геополитическом фоне может наконец то приобрести свое значение и перестать быть пустым звуком для профильных чиновников и госкорпораций», — говорит бизнесмен из нефтесервиса. Примерная годовая выручка Halliburton в России — 0,5 млрд долл. Аналогичный показатель у Baker Hughes. Schlumberger зарабатывает здесь примерно 3 млрд долл., Weatherford часть активов (предприятия по бурению и ТКРС) в России и Венесуэле — около 1 млрд долл. Часть бюджетов Halliburton достанется ее российским конкурентам, часть — поделят американские. Часть подрядчиков из США начали загодя готовить запасные варианты для работы в России. Schlumberger в этом году открыли московский научно-исследовательский центр «Шлюмберже». Минэнерго намерено оказывать поддержку компаниям по расширению деятельности в России, говорит сотрудник Минэнерго. По словам аналитика Sberbank CIB Валерия Нестерова, влияние новых санкций в сфере российской нефтегазовой отрасли зависит от широты и продолжительности их действия. «Сама Европа не заинтересована в ограничении поставок энергоносителей из России. Это касается и нефти, и газа. Поэтому когда в результате санкций объемы добычи углеводородов в России уменьшатся, прежде всего пострадает европейский потребитель», — заключил аналитик. Нефтяники комментировать возможные санкции ЕС отказались, сославшись на то, что документ Еврокомиссии еще не утвержден. В «Газпроме», ЛУКОЙЛе, «Башнефти» и «Газпром нефти» отказались от комментариев. «Роснефть» не смогла оперативно предоставить комментарий. Для разработки шельфовых проектов «Роснефть» привлекла экспертизу ExxonMobil, Eni, Statoil. Совместно с ExxonMobil во второй половине 2014 года компания намерена начать бурение горизонтальных скважин на месторождении Баженовской свиты, говорится в материалах презентации компании по итогам отчета по МСФО за первый квартал. В сфере трейдинга у «Роснефти» заключен контракт с BP Oil Int. о поставках нефтепродуктов до 12 млн т в течение пяти лет с возможностью замещения нефтью на условиях предоплаты в 2 млрд долл. Действует контракт с венесуэльской PDVSA о покупке 66,5 млн барр. нефти и нефтепродуктов на условиях предоплаты (2 млрд долл.). Во втором полугодии «Роснефть» планирует продлевать контракты с Maersk, CMA CGM, а также заключать договоры с Sakhalin Energy, Hyundai, NYK (Япония, судоходная компания), K-Line (Америка, трейдинговая компания), MOL (Венгрия, нефтегазовая компания), Evergreen (Тайвань, судоходная и транспортная компания) на Дальнем Востоке. Halliburton работает в России с 1991 года. Специализируется на обслуживании месторождений в Западной Сибири. Среди ее заказчиков — крупнейшие российские компании: «Газпром», «Газпром нефть», «Роснефть» и ЛУКОЙЛ. Компания производит оборудование для бурения, проводит обслуживание трубопроводов, резервуарных парков, занимается разработкой IT-программ для оптимизации добычи. В России у нее развернуты производства в восьми регионах. Самая крупная база компании находится в Нижневартовске. Генеральный директор российского филиала — Константин Шилин, офис — в Москве. Штат в России — около 2500 человек. «Еврохим» проиграл иск на 660 млн евро в Амстердамском окружном суде. Компания судилась с акционером подрядчика, который осваивал Гремячинское месторождение, один из проблемных активов компании. Суд отказался признать, что акционер виноват в том, что подрядчик использовал неправильные технологии и нанес убытки российскому производителю удобрений. В конце 2012 года «Еврохим» подал иск в Швейцарскую торговую палату в Цюрихе и Международную торговую палату в Париже на сумму 800 млн долл. против южноафриканской компании Shaft Sinkers за неспособность в срок завершить строительство клетьевого ствола на Гремячинском месторождении. Договор с компанией был разорван. Прямые убытки «Еврохим» оценил в 161 млн долл. Российский производитель также подал иск против International Mineral Resources, владеющей 48% Shaft Sinkers. «Еврохим» требовал признать, что IMR ответственна за действия «дочки» и пыталась скрыть возможную неэффективность Sheft Sinkers при реализации проекта. В июле 2013 года голландский суд вынес предварительное решение в пользу «Еврохима» и наложил ограничения на активы IMR на сумму 886 млн евро, которая включает основную сумму иска и проценты по ней. Вчера Окружной суд района Rechtbank в Амстердаме отказал «Еврохиму» в иске о взыскании убытков IMR на 660 млн долл., говорится в сообщении IMR. Суд решил, что акционер Shaft Sinkers не имеет отношения к претензии российской компании. Представитель «Еврохима» Владимир Торин сообщил РБК, что в компании разочарованы первоначальным решением суда в Нидерландах. Российская компания нашла дополнительные доказательства мошеннических действий контрагента и представит их суду следующей инстанции, говорит он. Запуск Гремячинского месторождения первоначально планировался на 2013 год, но из-за неправильного создания шахты был перенесен на 2017 год. Лицензия на освоение месторождения была приобретена компанией в 2005 году. На первом этапе добыча должна составить 2,3 млн т калия в год, после выхода на полную мощность — 4,6 млн т.
Европа считает, что присутствие российских нефтяников в европейской нефтепереработке чрезмерно и делает отрасль уязвимой перед политическим вмешательством извне. Ранее эта проблема Еврокомиссию не волновала — очевидно, что смена позиции связана с текущей политической ситуацией вокруг Украины и подготовкой нового пакета экономических санкций против России, уверены эксперты. Еврокомиссия недовольна слишком обширным, по ее мнению, присутствием российских компаний в европейской нефтепереработке. Об этом говорится в «Европейской стратегии энергетической безопасности», подготовленной ЕК. В документе указывается, что Евросоюз сталкивается с рядом серьезных проблем, в том числе с повышением концентрации в руках российских нефтяников нефтеперерабатывающих мощностей на территории ЕС, а также с зависимостью переработки от российского сырья и нефтепродуктов. Еврокомиссия считает, что необходимо поддерживать конкуренцию в нефтепереработке, чтобы избежать зависимости от России, и «намерена взять под контроль эти вызовы». О российской экспансии в европейскую переработку ЕК говорила еще в мае. «В сочетании с зависимостью от поставок российской нефти и увеличением влияния российских игроков это делает отрасль уязвимой перед политическим вмешательством», — говорилось в проекте стратегии ЕК. «Определенная логика в позиции Еврокомиссии есть, — комментирует опасения брюссельских чиновников глава аналитического управления Фонда национальной энергетической безопасности Александр Пасечник. — Российские нефтяные компании действительно весьма широко представлены в Европе». Крупнейшая российская нефтяная компания «Роснефть» владеет 21% в СП с итальянской Saras S.p.A., которому принадлежит нефтеперерабатывающий завод на Сардинии. Также компания владеет 50% в Ruhr Oel GmbH, которой принадлежат четыре НПЗ на территории Германии (Гельзенкирхен — 100%; Bayernoil — 25%; MiRO — 24%; PCK Schwedt — 37,5%). В «Роснефти» стратегию Еврокомиссии комментировать отказались. Самая крупная в России частная нефтяная компания «ЛУКойл» владеет нефтеперерабатывающими заводами в Болгарии, Румынии и на Сицилии. Кроме того, «ЛУКойлу» принадлежит доля в нидерландском НПЗ. «Мы считаем, что присутствие российских компаний в европейской нефтепереработке не является препятствием для конкуренции в этом секторе», — заявили «Газете.Ru» в «ЛУКойле». «Дочка» «Газпрома» «Газпром нефть» владеет контрольным пакетом (51%) сербской NIS, которой принадлежит два НПЗ в Сербии. Правда, Сербия пока в Евросоюз не входит, но активно туда стремится. На запрос «Газеты. Ru» «Газпром нефть» не ответила. В 2012 году нефтеперерабатывающие заводы в Бельгии и Германии купил нефтетрейдер Gunvor, в котором 44% принадлежало российскому бизнесмену Геннадию Тимченко. Однако в марте 2014 года, после введения против него адресных американских санкций, Тимченко продал свою долю партнеру по Gunvor Торбьерну Торнквисту. Таким образом, претензий к Gunvor у Еврокомиссии формально быть не может. «Ограничения для предприятий с российским участием со стороны Еврокомиссии вряд ли возможны, ведь все сделки в нефтеперерабатывающем секторе проходили антимонопольную аттестацию, — указывает Александр Пасечник. — Однако если в дальнейшем российские компании захотят расширить свое присутствие в европейской нефтепереработке, они могут столкнуться с препятствиями со стороны контролирующих органов». Эксперт обращает внимание на то, что до последнего времени Еврокомиссия была обеспокоена лишь растущим присутствием «Газпрома» на европейских рынках. Уже несколько лет в отношении российского холдинга ведется антимонопольное расследование. «Тот факт, что под прицел ЕК теперь попала нефтепереработка, говорит о том, что тренд давления на российский энергокомплекс растет, и обусловлено это политическими мотивами», — поясняет Пасечник. О том же говорит источник в российской нефтяной отрасли. По его словам, претензии по поводу засилья российских нефтяников в нефтепереработке Европы связаны исключительно с политической ситуацией вокруг Украины. iii/ Ухудшение тепмов роста после 2008 г. поставило вопрос о поиске новых источников прибыли. Как выяснил «Ъ», вчерашнее объявление Минэнерго об открытии одного из крупнейших шельфовых месторождений нефти в России оказалось преждевременным. По данным Минприроды, реальные запасы Южно-Киринского месторождения «Газпрома» составляют не 464 млн т, а всего 6 млн тонн. В результате монополия сможет сконцентрироваться в первую очередь на добыче газа в рамках «Сахалина-3», куда входит месторождение, не отвлекаясь на нефтяные залежи. Кыргызстан богат горами и залегающими в них полезными ископаемыми. Иностранные инвесторы готовы вкладывать средства в горнодобывающую отрасль страны, но их отношения с местным населением все чаще складываются по принципу «умный на гору пойдет, умный трактор заберет». «Газпром нефть» разочаровалась в кубинском шельфе Мексиканского залива. После того как в прошлом году компания пробурила сухую скважину, она пересмотрела свои планы относительно проекта и приняла решение покинуть его. «Газпром нефть» приняла решение о выходе из проекта на шельфе Кубы в Мексиканском заливе, говорится в проспекте к программе евробондов на сумму до 10 млрд долл., передает Интерфакс. В октябре 2010 года «Газпром нефть» заключила соглашение с малайзийской Petronas, получив 30% участия в соглашении о разделе продукции в отношении четырех глубоководных блоков на шельфе Кубы. В июле 2011 года компания заключила договор о разделе продукции с Petronas и CUPET (Cubapetrol). Соглашение о разделе продукции (СРП) по четырем блокам предусматривало проведение геолого-разведочных работ и в случае обнаружения коммерческих запасов углеводородов добычу нефти на глубоководных блоках 44, 45, 50 и 51. Договор о совместной работе с Petronas и правительством Кубы был подписан в 2006 году. Запасы нефти власти страны не раскрывают, ранее государственная Cubapetroleo оценивала запасы на шельфовых месторождениях Кубы в Мексиканском заливе более чем в 20 млрд барр. Между тем, по данным Геологической службы США, речь может идти о 5 млрд барр. В конце июля прошлого года «Газпром нефть» сообщила о завершении бурения морской разведочной скважины. Однако она оказалась сухой. Как сообщила компания, характеристики дна в районе бурения «не позволяют осуществлять отдачу значительных объемов нефти и газа, поэтому скважину нельзя квалифицировать как пригодную для коммерческой разработки». «Хотя на этой скважине мы и не получили промышленных притоков, была собрана драгоценная геологическая информация, которая позволила нам в целом по-новому взглянуть на региональную модель», — говорил в начале 2013 года в интервью журналу Nefte Compass руководитель дирекции по геолого-разведочным работам и развитию ресурсной базы «Газпром нефти» Алексей Вашкевич. По его словам, были выделены новые перспективные структуры на блоке и до сентября партнеры должны были принять решение о продлении периода геолого-разведочных работ. «Это время нам необходимо для переосмысления полученной информации. К сентябрю мы должны принять решение о целесообразности продолжения участия в этом проекте и переходить к его следующему этапу, который включает в себя в том числе проведение сейсмики 3D», — отмечал г-н Вашкевич. Однако работы было решено не продолжать. «В августе 2013 года после выхода Petronas из проекта компания решила аннулировать второй разведочный этап и направила соответствующее уведомление Petronas и CUPET. Как ожидается, проект должен быть прекращен в сентябре 2013 года», — сообщается в проспекте к выпуску евробондов. Помимо Кубы «Газпром нефть» реализует проекты в Ираке, Экваториальной Гвинее, Венесуэле, Анголе, Румынии и Венгрии. Дюков на годовом собрании акционеров компании в начале июня отмечал, что «Газпром нефть» в ближайшее время надеется поставить на баланс запасы в объеме более 300 млн тонн нефтяного эквивалента за пределами РФ, в том числе по проектам на Кубе – 135 млн тонн н.э. Кубинский шельф, расположенный в богатом нефтью Мексиканском заливе, считается перспективным районом для добычи. На сегодня подтвержденные запасы нефти в этом районе невелики — около 260 млн тонн. 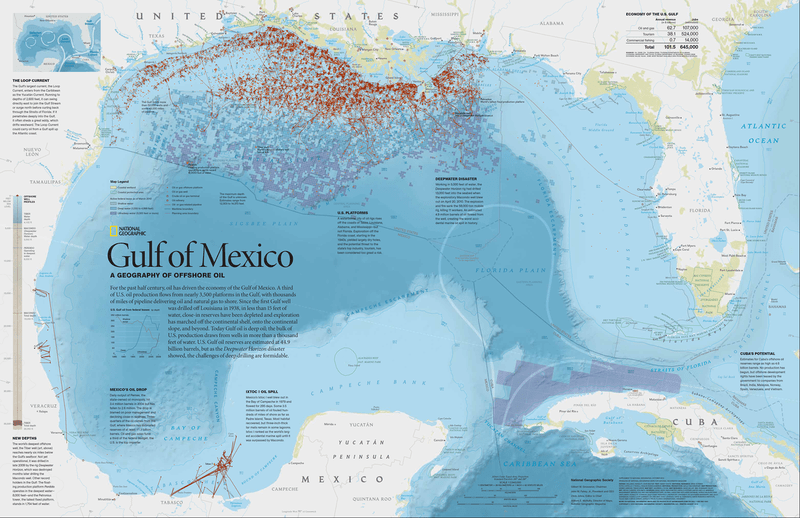 Однако общие запасы значительно крупнее: кубинская госкомпания Cubapetroleo оценивает их в 2,7 млрд тонн, геологическая служба США — в 1,2 млрд тонн нефти и 21 трлн кубометров газа. При этом, однако, текущая добыча нефти на Кубе совсем мала — порядка 8,2 тыс. тонн в сутки, что не покрывает даже внутренних потребностей (27 тыс. тонн в сутки). — Если перейти к зарубежным проектам, началось ли бурение на Кубе? — Бурение первой скважины запланировано на апрель и продлится месяц. Глубина моря там порядка 2,5 тысяч метров, общая глубина скважины составит 5,2 тысячи метров. В конце мая-в июне проведем испытания и поймем перспективы. Недалеко от этой зоны есть еще 12 участков, и, если наличие ресурсов подтвердится, проект будет очень привлекательным с коммерческой точки зрения. В этом случае программа работ будет значительно расширена. — Как «Газпром нефть» вошла в кубинский проект? — Соглашение о разделе продукции (СРП) с правительством Кубы Petronas подписала в 2007 году. Оно предполагает проведение геологоразведочных работ (ГРР) на четырех блоках, расположенных в кубинской эксклюзивной экономической зоне на шельфе Мексиканского залива. В 2009‑м «Газпром нефть» начала тесно сотрудничать с Petronas в Ираке. Тогда же малайзийцы предложили нам принять участие в разведке кубинских запасов. В итоге мы заключили соглашения о переуступке доли и о совместной деятельности и летом 2011 года присоединились к кубинскому проекту, гдеполучили долю в 30 %. Учитывая стратегический характер сотрудничества между нашими компаниями, мы не осуществляем дополнительные платежи за вхождение в проект, а только компенсируем партнерам понесенные ими исторические затраты пропорционально нашей доле участия. Суммарно по состоянию на середину 2011 года с учетом компенсации затрат и финансирования текущей деятельности мы потратили на этот актив порядка 12 млн долларов. По мнению наших геологов, малайзийцам принадлежат одни из самых перспективных участков кубинского шельфа. При этом есть основания полагать, что эта зона схожа по строению со структурой черноморского шельфа, где у нас уже есть свои наработки, которые мы постараемся использовать вместе с партнерами. На участке выявлено 14 перспективных структур, суммарная оценка их резервов достигает 400–500 млн т углеводородов. Наиболее понятной с точки зрения геологии является структура Catoche-1, которая и выбрана для бурения первой скважины. Мы планируем приступить к бурению в первой половине 2012 года. Для этого у работающей по соседству компании Repsol в субаренду взята буровая платформа — сейчас она находится на пути из Сингапура в Тринидад и Тобаго, где пройдет технический аудит перед прибытием на Кубу. Если результаты бурения покажут нефтеносность Catoche-1, мы приступим к 3D-сейсмике, которая позволит оконтурить структуру и подтвердить ее размеры и запасы. Так что по результатам работы на первой скважине мы поймем, начинать ли бурение второй — оценочной — на этой же структуре или переходить на другую. — Когда может начаться добыча? — Исходя из отраслевого стандарта работы на шельфе, к добыче, как правило, приступают через 5–6 лет после объявления о коммерческом открытии. В случае перехода к промышленной эксплуатации месторождений подписанное СРП дает возможность вести разработку нефтяных запасов до 2037 года, а газ добывать до 2042‑го. Преимущества проекта очевидны: морская добыча расширяет географию поставок сырья, а режим СРП предусматривает возмещение затрат и не предполагает дополнительных налогов, таких как экспортная пошлина или НДПИ. В будущем в проект сможет войти кубинская государственная Cupet, компенсировав участникам исторические затраты. Ее доля может составить до 20 %, а доли других участников при этом пропорционально уменьшатся. Кубинский шельф Мексиканского залива пока остается малоизученной территорией — на сегодняшний день на нем пробурено всего две скважины, чего совершенно недостаточно, чтобы делать какие-то далеко идущие выводы. Но если там будут найдены углеводороды, мы станем одной из первых компаний, которая получит к ним доступ. — «Газпром нефть» активно участвует в шельфовых проектах за рубежом. Совместно с Petronas и кубинской Cupet вы работаете на шельфе Кубы, где в прошлом году была пробурена сухая скважина. Каковы перспективы развития данного проекта? А. Вашкевич: Хотя на этой скважине мы и не получили промышленных притоков, была собрана та драгоценная геологическая информация, которая позволила нам в целом по новому взглянуть на региональную модель. Вместе с партнерами мы выделили новые перспективные структуры на блоке. По результатам проделанной работы было принято решение о продлении первого периода геологоразведочных работ на 9 месяцев до сентября 2013 года. Это время нам необходимо для переосмысления полученной информации. К сентябрю мы должны принять решение о целесообразности продолжения участия в этом проекте и переходить к его следующему этапу, который включает в себя, в том числе проведение сейсмики 3D. «Газпром нефть» приняла решение о выходе из проекта на шельфе Кубы в Мексиканском заливе, сообщил в пятницу «Интерфакс» со ссылкой на проспект к программе евробондов нефтекомпании. В документе также говорится, что «в августе 2013 года после выхода Petronas из проекта компания решила аннулировать второй разведочный этап и направила соответствующее уведомление Petronas и CUPET (государственная кубинская Cubapetroleo.— «Ъ»)». «Газпром нефть» планирует завершить проект до конца месяца. Иван Андриевский из «2К-Аудит» называет выход «Газпром нефти» из кубинского проекта оправданным, учитывая высокие и неоправданные риски на малоисследованных блоках кубинской части Мексиканского залива. Он добавляет, что, только по данным за 2011 год, «Газпром нефть» вложила в проект около $12 млн, а выгода от этих вложений «выразилась только в получении новой, но не уникальной информации». — Поиску по рунету «Геология кубы книга» дает советские книги 1967 и 1973 г.
На сайте Газпром нефть шельф нет ничего о черноморских успехах, а есть в основном про Арктику и платформу «Приразломная». «Газпром нефть» выступает за разработку государственной программы освоения шельфа Черного моря, сообщил в интервью агентству «Прайм» директор дирекции по геологии и разработке компании Виктор Савельев. «Если говорить о Черном море, то я считаю, что в России разведка этого шельфа должна вестись в рамках госпрограммы, сейчас на этой территории нет даже привязочного сейсмокартажа. Нужно пробурить хотя бы пару скважин, после чего привязать к ним все материалы сейсморазведки и сделать новую переинтерпретацию», — отметил он. Типичное мнение финансиста. Поиски и разведка становятся все более затратны и наскоками неисследованную территорию не изучить. 18 января 2011 года, я опубликовал на этом сайте отчет о кубинских перспектив нефтяных под названием «Нефть на Кубе: Текущая ситуация и среднесрочная перспектива». Первый исследовательский этап, вероятно, потребует 5-8 лет. Несколько разведочных скважин, может быть, больше, чем десять, должны быть пробурены до создания любого коммерческого производства. Каждая из этих разведочных скважин, пробуренных на глубине 2000 футов и на общую глубину ниже поверхности некоторых 21,000 футов, вероятно будет стоить от $ 50-100 миллионов. Китайская буровая установка будет взята напрокат по стоимости около $ 500 000 в день. Уровни производства в размере до 120,000 баррелей в день может быть в конечном итоге созданы за 15 лет. За последние 3 года, четыре разведочные скважины были пробурены различными нефтяными компаниями, в том числе Repsol, Petronas, Петролеос де Венесуэла и Зарубежнефть. Четыре скважины не увенчались успехом, хотя мы практически не знаем детали результатов. Россия и Куба подписали соглашение, по которому Острову свободы списывается долг в размере 29 млрд долл., сообщает Reuters. Документ был подписан в Гаване. Списанию подверглось почти 90% долга, который начал формироваться у Кубы еще перед СССР. Общая сумма задолженности составляла 32 млрд долл., оставшиеся 3 млрд долл. Куба должна была заплатить в течение 10 лет. Соглашение ставит точку в почти 20-летнем споре между государствами. Предварительные договоренности о прощении долга были подписаны еще в феврале этого года. Тогда российский премьер-министр Дмитрий Медведев посетил Кубу и подписал предварительный договор об урегулировании вопроса долгов Кубы. Речь шла о кредитах, которые республика набрала еще во времена СССР. Тогда же прозвучали предварительные оценки, согласно которым долги Кубы составляют гораздо большую сумму. Кубинский долг оставался самым большим среди стран бывшего «советского блока». Меньшие по размеру долги — Афганистана в 12 млрд долл. и Ирака в 13 млрд долл. 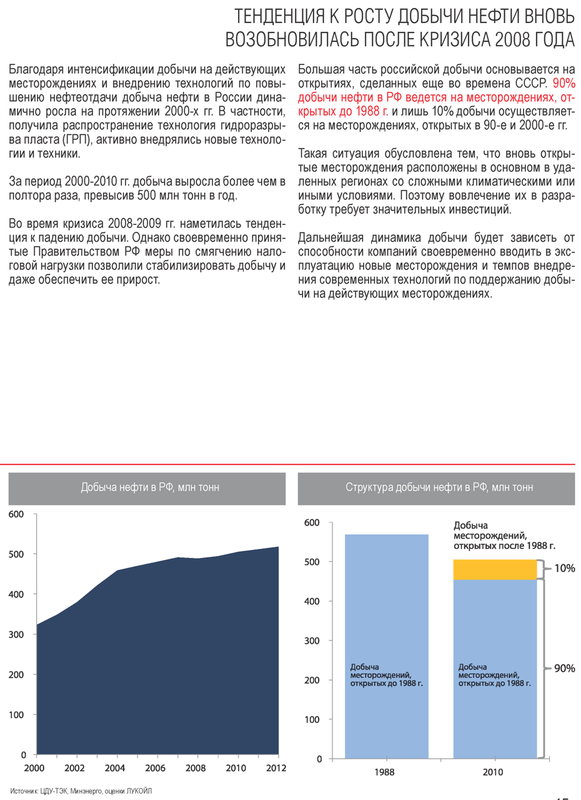 — были реструктурированы в 2007-2008гг. Причины, по которым РФ пошла на прощение долгов, неизвестны. По некоторым данным, это связано с поиском нефти российскими компаниями на кубинском шельфе. на Кубе и в ее EEZ для российских компаний? Нефтегазовая компания OGX, контролируемая бразильским бизнесменом Эйком Батистой (Eike Batista), 30 октября обратилась в суд Рио-де-Жанейро с просьбой защиты от кредиторов. Как сообщает Reuters, банкротство OGX станет крупнейшим в Латинской Америке. Обратиться в суд в OGX были вынуждены после того, как компания не смогла договориться с кредиторами о рефинансировании задолженности в размере 5,1 миллиарда долларов. Если запрос будет удовлетворен судом, OGX получит два месяца на разработку плана реструктуризации. В число кредиторов OGX входят, среди прочих, крупнейший в мире инвестфонд облигаций Pacific Investment Management Co (PIMCO), а также одна самая большая в мире инвестиционная и управляющая компания BlackRock. Как пишет The Washington Post, OGX так и не смогла выполнить обещания по добыче нефти на шельфе страны, хотя с 2010 года не раз сообщала об открытии залежей углеводородов. В первой половине 2013 года убытки компании превысили 2,5 миллиарда долларов. Кроме того, в компании резко снизили прогноз по объемам запасов нефти на принадлежащих ей участках шельфа: если в 2012 году они оценивались в миллиард баррелей, то в прошлом месяце — уже всего в 285 миллионов. Банкротство OGX, хотя и не окажет существенного влияния на бразильскую экономику, в СМИ расценили как очередной этап крушения империи Батисты, который совсем недавно являлся самым богатым бизнесменом страны. В марте 2012 года журнал Forbes оценивал состояние Батисты в 30 миллиардов долларов, однако в сентябре 2013-го исключил бизнесмена из списка миллиардеров. В издании отметили, что капитал Батисты снизился до 900 миллионов долларов, в первую очередь, из-за финансовых затруднений OGX. Эйке Батиста, некогда самый богатый предприниматель Бразилии, переживает не самые лучшие дни. Его основной актив — нефтекомпания OGX — подала на банкротство, инвесторы грозят судами, а состояние, которое еще полтора года назад составляло более 30 миллиардов долларов, упало ниже отметки в миллиард. Талантливому и умеющему рисковать бизнесмену и раньше приходилось терять деньги, но убытки в таких масштабах за столь короткий период времени он терпит впервые — падение Батисты оказалось таким же стремительным, как и взлет. Эйке Батиста долго оставался в тени своего знаменитого отца — Элиезера Батисты, который в 60-х годах возглавлял бразильское министерство горнорудной промышленности и энергетики, а также несколько лет работал гендиректором государственной горной компании Vale do Rio Doce (приватизирована в 1997 году). Как водится в таких случаях, все члены семьи отрицают, что старший помогал младшему. Элиезер утверждает, что его сын с самого детства обладал способностью доводить начатое до конца. По словам Батисты-младшего, наличие известного отца, напротив, было для него обузой, поскольку глава Vale и близко не подпускал сына к бизнесу госкомпании во избежание конфликта интересов. Вопросы о помощи отца в бизнесе вызывают у Эйке достаточно резкую реакцию. «Я начал свой бизнес с нуля», — заявлял Батиста в 2010 году, в период расцвета своей империи. Детство Батиста провел на родине, а с 12 до 23 лет жил в Германии, куда переехал с родителями (отец Эйке в тот период занимался международной экспансией Vale). После школы Эйке Батиста изучал металлургию в Университете Аахена и, по его собственным заверениям, работал страховым агентом, чтобы оплачивать учебу. В 1979 году он вернулся в Бразилию и попробовал свои силы в торговле металлами, благодаря чему уже через полтора года заработал шесть миллионов долларов комиссионных. Начинающий бизнесмен вложил деньги в золотодобычу, но сперва прогорел, потеряв 5,7 миллиона. Впоследствии, правда, старатели вышли на уровень добычи, приносящий по миллиону долларов в месяц. Батиста продал доли в проекте нескольким партнерам, разделив риски. К тому времени в разработке у предпринимателя были уже пять рудников в Бразилии, один в Чили и два в Канаде. Его бизнесом заинтересовалась канадская TVX Gold, которая купила у Батисты один из рудников. Со временем бизнесмен стал гендиректором и крупнейшим акционером этой компании, однако удача отвернулась от него: TVX рассорилась с одним из партнеров, и ее акции начали стремительно падать. Батиста, снова потеряв бóльшую часть инвестиций, отошел от управления компанией и в начале 2000-х годов основал горнорудную MMX. В новую компанию он вложил 300 миллионов долларов собственных средств и 200 миллионов, взятых в кредит в Banco Itaú. В 2006 году MMX вышла на IPO (первичное размещение акций) и привлекла более полумиллиарда долларов. Через два года компания продала два рудника южноафриканской Anglo American за 5,5 миллиарда долларов. 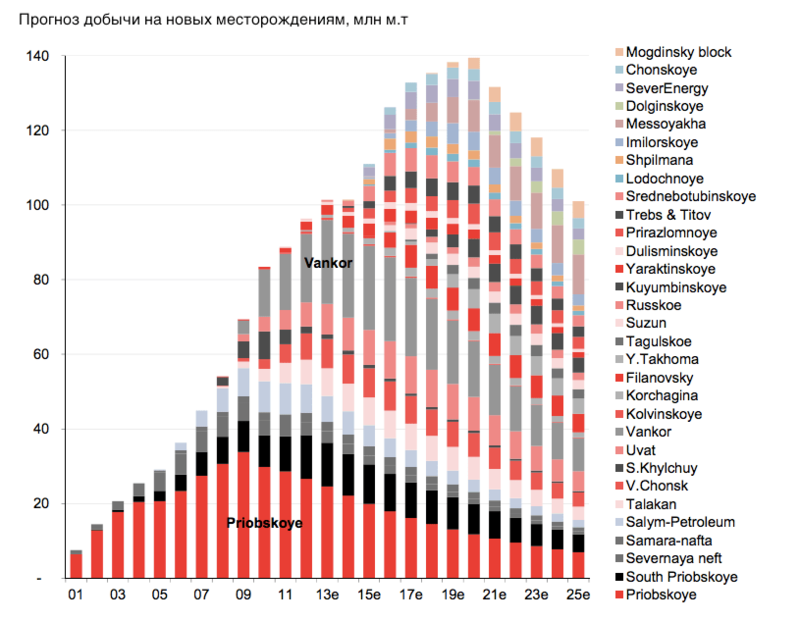 В декабре 2007 года еще одна структура Батисты — энергетическая MPX Energia — провела IPO на 1,1 миллиарда долларов. В 2008 году состоялся выход на биржу нефтекомпании Батисты OGX. В рамках этого IPO удалось привлечь 4,1 миллиарда долларов. OGX была гордостью Батисты, компания через несколько месяцев после основания стала крупнейшим частным игроком в нефтегазовом секторе страны. К 2012 году Батиста числился основателем пяти компаний, акции которых торговались на бирже. Его состояние превышало 34 миллиарда долларов (по данным Bloomberg). В рейтинге миллиардеров Forbes в 2012 году предприниматель вошел в первую десятку с результатом в 30 миллиардов долларов. Батиста не собирался останавливаться на достигнутом. Он планировал обойти по объему состояния богатейшего бизнесмена Карлоса Слима (73 миллиарда долларов) и стать самым состоятельным человеком в мире. Батиста прогнозировал, что к 2020 году станет обладателем 100-миллиардного состояния. Бизнесмен любил повторять, что работает на благо Бразилии, но при этом не забывал упоминать на своей странице в Facebook, насколько он богат. У Батисты хорошие отношения с властями; бизнесмен удостаивался лестных отзывов от высших должностных лиц. «Я думаю, Эйке воплощает собой особый вид предпринимателя, — говорила президент страны Дилма Руссеф. — Это человек, который ставит перед собой очень амбициозные цели и делает все, чтобы добиться их». Батиста не скрывает своих ответных теплых чувств к властям. Злые языки поговаривают, что стремительным ростом своего состояния бизнесмен обязан как раз этим теплым отношениям. Батиста предпочитает объяснять успешную карьеру банальным везением и тяжелой работой. Скорее всего, предприниматель прав, потому что хорошие отношения с властями у него сохранились, а вот бизнес пошел хуже некуда. Видимо, удача отвернулась. 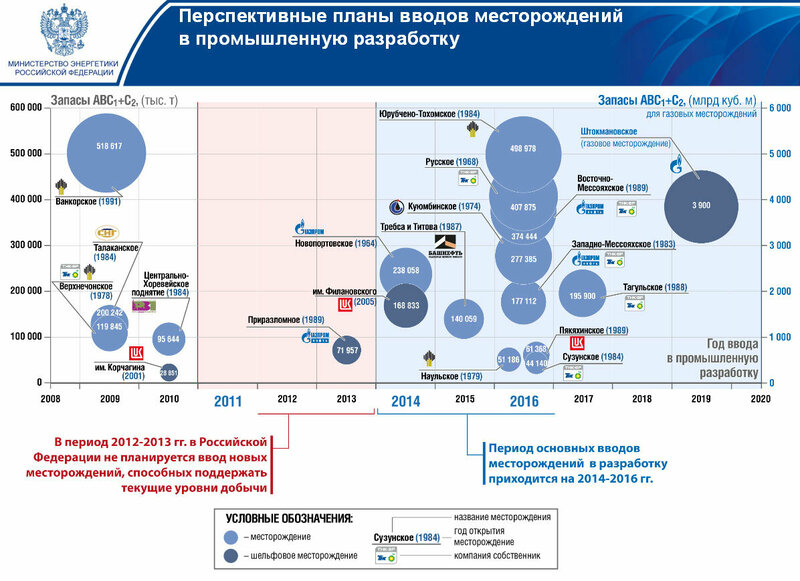 Первые отголоски предстоящего краха OGX прозвучали еще весной 2011 года. Тогда результаты независимого аудита показали, что перспективы компании не такие уж радужные. Несмотря на то, что ее резервы выросли на 60 процентов, инвесторы бросились распродавать акции OGX. Дело в том, что, по данным независимой проверки, значительная часть нефти может оказаться неизвлекаемой. Батиста раскритиковал отчет и пообещал удивить инвесторов. Как оказалось, к тому времени точка невозврата уже была пройдена. По данным консалтинговой компании Economatica, стоимость всех компаний Батисты с декабря 2011 года по август 2012 года упала почти на 40 процентов, до 19 миллиардов долларов. Все это время бизнесмен утверждал, что не теряет деньги, хотя его состояние к тому моменту уменьшилось до 15 миллиардов долларов. Батиста грозил инвесторам, которые играли на бирже против него, что они в конечном итоге останутся «без штанов», тогда как у его компании все будет хорошо. Опасения аудиторов о плохой извлекаемости нефти оправдались: уровень добычи у OGX оказался невысоким. Компания публиковала квартальные отчеты один хуже другого; организация тратила большие суммы, пытаясь ввести в строй новые месторождения; убытки нарастали стремительными темпами. Как пишет Bloomberg, в конечном итоге оказалось, что в денежном выражении Батиста и его команда завысили резервы на триллион долларов. Паника инвесторов привела к падению акций OGX на 96 процентов за прошедшие 12 месяцев. В начале сентября Forbes исключил Батисту из списка миллиардеров, так как его состояние опустилось ниже отметки в миллиард. Слухи о том, что набравшая долгов OGX может подать заявление о банкротстве, ходили уже давно. Компания в последние месяцы пыталась договориться с кредиторами о реструктуризации долга в размере пяти миллиардов долларов, но не вышло: 30 октября OGX обратилась в суд Рио-де-Жанейро с заявлением о банкротстве. Процедура банкротства в Бразилии, как и в США, предусматривает защиту от кредиторов и возможность продолжить деятельность. Такая практика была введена в 2005 году. Статистика неутешительна: из четырех тысяч компаний, прошедших через процедуру защиты от кредиторов, только один процент смог возобновить деятельность. Вероятность возврата к работе OGX, может, и есть, но шансы действительно обнаружить те объемы нефти, которые были заявлены изначально, ничтожно малы. Впрочем, кто знает, вдруг Батисте снова улыбнется удача.